With a week to go before Husker football begins again, Hail Varsity is sharing stories that originally appeared in our 2018 Football Yearbook. If you enjoy this story and want to read more like it, subscribe to the magazine today. One of the first responsibilities of a new football coach is recruiting. Yes, as soon as Scott Frost accepted the job at Nebraska, his staff scattered across the country in order to salvage a 2018 recruiting class that had fallen apart after Mike Riley’s firing. However, Frost also had some interior recruiting to do to retain the athletes already in Lincoln. With sophomore receiver Tyjon Lindsey, it was easy. He’d already done it once before. Lindsey called Oregon his “dream school.” It was a “done deal.” Then Frost left for Central Florida and former wide receivers coach Keith Williams recruited Lindsey to Nebraska. Fast forward to 2018 and now Frost has followed Lindsey to Lincoln. However, the previous staff’s departure — and Williams’ in particular — hit Lindsey and the other receivers hard. For Lindsey, that family atmosphere is ultimately what convinced him to stay in Lincoln rather than looking to transfer elsewhere. “That’s what I learned when I first got here; it was all about my brothers. I didn’t have family — my mom’s not here, my dad’s not here; so with that, all I’ve got is my brothers. My brothers are my family. With that, we just realized this is what we need to do, stay with each other, stick with each other. Stan’s going to help me learn even though I’m at the slot now; he’s going to help me learn. He’s going to carry me off the field; we’re going to carry each other in the classroom. This is going to go a long way. Even with Lindsey’s previous connection with Frost, the relationship with the new staff got off to a rocky start after the winter conditioning workouts landed Lindsey in the hospital with rhabdomyolysis, and he wasn’t the only one. Dylan Owen, a walk-on defensive lineman, also had to go to the hospital. Owen later left the program, but Lindsey returned, even more determined to find success. By his own words, Lindsey tended to keep to himself in times of adversity. Frost called him right away. Offensive coordinator and wide receivers coach Troy Walters reached out to him as well. The coaches weren’t the only ones who reached out to Lindsey. De’Anthony Thomas did as well. His stint in the hospital had Lindsey questioning that process, but he decided to trust it just as Thomas advised. “It took a lot of buying in,” Lindsey said. “Me being in the hospital, I felt like they didn’t know what they were doing. They were always saying trust the process, trust the process. I sat in the hospital like this might be a major setback for a comeback. With that, I just bought into it. Lost 10 pounds of fat and gained 10 pounds of muscle. When I’m on the field, it’s showing. They got me way faster. The workouts they’ve got me doing are way explosive, heavy squats, getting me out of my breaks when I’m breaking down at receiver, making me get up out of there when I’m trying to get past the DB or something. In the end, the experience brought Lindsey and Walters closer together. Lindsey’s stay in the hospital wasn’t his first bit of adversity at Nebraska. In fact, his entire freshman year was a struggle. 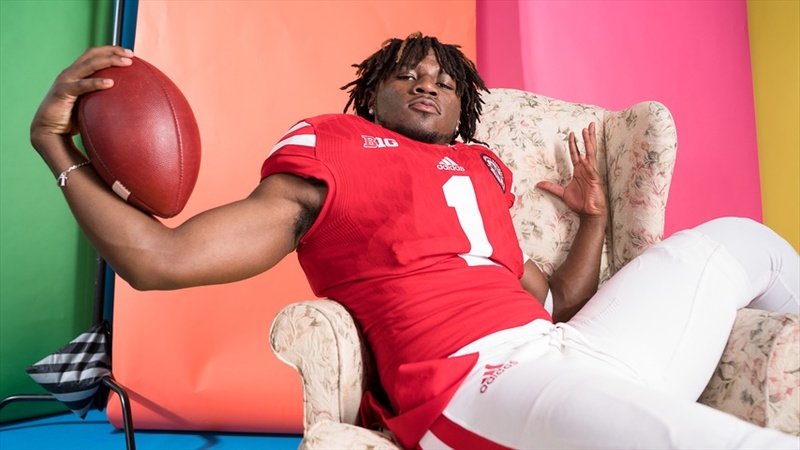 Lindsey was the highest-rated member of Nebraska’s 2017 recruiting class with a Hail Varsity composite rating of 95.9, making him a high 4-star prospect. His freshman season numbers show 12 catches for 76 yards (6.3 yards per reception) and seven carries for 4 yards. He returned one punt for no yardage and one kickoff for 17 yards. Lindsey missed his senior season with a torn meniscus. His more recent trip to the hospital proved to be a turning point of sorts for the young receiver. Lindsey’s struggles are in the past now, and he’s ready to make the impact he expected to when he first set foot on campus. He has a new outlook on football and what he needs to do to be successful. Walters has big plans for this new Lindsey. 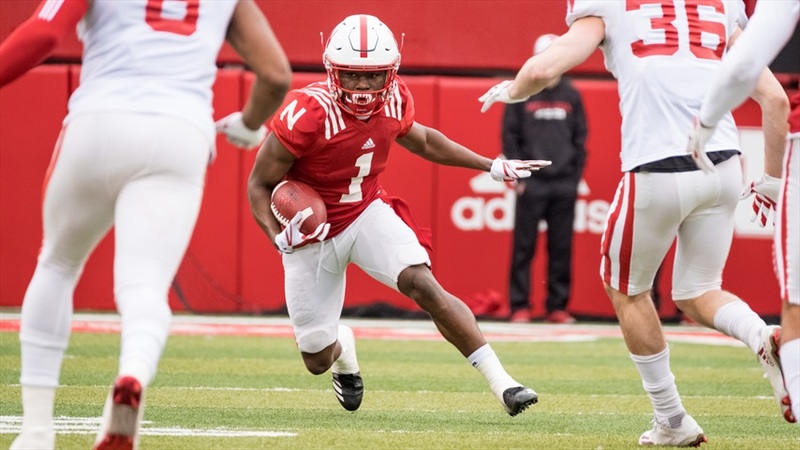 Stanley Morgan Jr. and JD Spielman are established stars for the Huskers, but the offense Frost and Walters brought to Lincoln provides an opportunity for several skill-position players to shine. Nebraska WR Tyjon Lindsey with a carry during the Huskers' 2018 spring game. In Nebraska’s new offense, that hybrid slot receiver and running back position is called the R-Duck. Once upon a time, De’Anthony Thomas played that role up in Eugene. Listed at 5-foot-9 and 176 pounds, Thomas averaged 51.1 yards per game on the ground (7.8 yards per rush) and 35 yards per game through the air (11.5 yards per reception) over three seasons. He totaled 41 touchdowns on offense in 37 games. However, while Lindsey is thrilled about the prospect of taking up the mantle of a player he considers a mentor, he also wants to be his own man and create his own legacy. Lindsey wants to forge his own path and create his own identity, and that ambition isn’t restricted to the gridiron. He is a man of many creative interests. Lindsey, under the name Chefboyartee, has published three songs on his own SoundCloud page and has released videos for two of them on YouTube. He is also designing his own clothing line. As Lindsey tells it, there was a lot of temptation on the streets of Corona, California, his hometown. Gang violence was rampant, and Lindsey’s interests kept him off the streets growing up. Music and fashion helped get Lindsey through his stay in the hospital, and he wants to use them to help inspire others as well. Lindsey has only been on campus for about a year, but his story at Nebraska already contains many chapters. He’s experienced the disappointment of failure to live up to expectations, the agony of crippling sickness and the uncertainty of losing the men that brought him to Lincoln in the first place. Now, Lindsey is ready to put all of that behind him and write a new chapter. 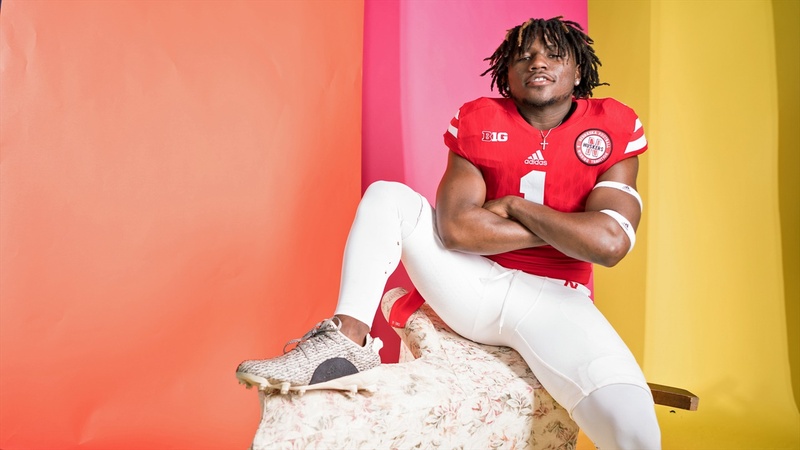 He’s ready to spread his wings and soar within Scott Frost’s offense just like his mentor De’Anthony Thomas once did. He’s ready to let the world hear his music and see his fashion. 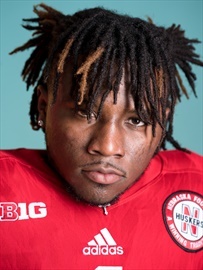 It’s a new day for Husker football, and it’s a new day for Tyjon Lindsey as well.